Bundesliga | What is at stake on Matchday 31? Matchday 31: What is at stake this weekend? The 2015/16 Bundesliga season is coming to a head, and matters could be decided at both ends of the table on Matchday 31 this weekend. bundesliga.com has a look at the permutations. …if they beat Hertha Berlin away and Borussia Dortmund lose away to VfB Stuttgart. That would give Pep Guardiola's side a ten-point lead at the top of the with just three rounds of matches left to play. 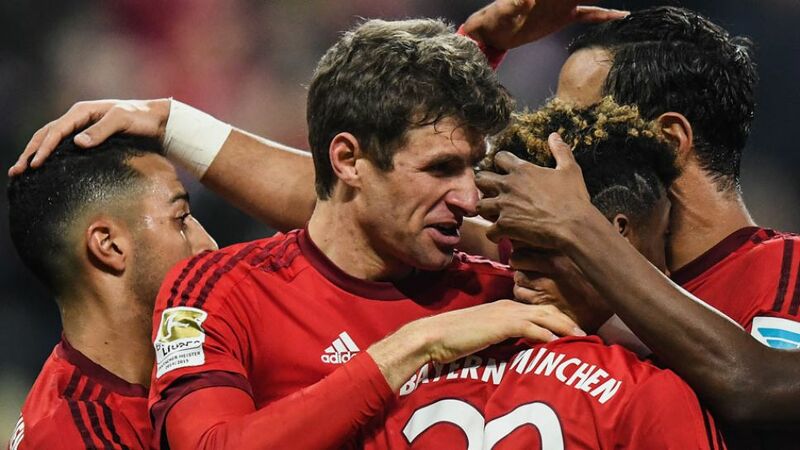 The promoted side will be guaranteed top-flight football next season if they beat Hannover 96 and SV Werder Bremen fail to win away to Hamburger SV. … if they lose to Ingolstadt. If Bremen pick up a draw away to Hamburg on Friday evening, Hannover would also go down if they draw with Ingolstadt. A victory may not even be enough to save H96 if Bremen win and both Augsburg and Stuttgart earn at least a draw.